We have all had those kind of days where we have came home from work feeling stressed due to deadlines, 137453 emails to deal with that day and a boss piling more and more work on you or maybe it was just the kind of day when everything that could go wrong actually does such as your card being declined, getting soaked by a car driving through a huge puddle or stuck in a traffic jam on your way home. Instead of going home to cry/yell/punch a pillow/drink all the wine (delete as necessary) follow my 8 steps to having a chilled night and you will be feeling as chilled as a bottle of Prosecco that’s been in your fridge for a week! Order a takeaway or pick up something quick and easy to cook on your way home, tonight is about relaxing not trying to work out timings for everything to be ready at the same time. It also reduces the likelihood of burning your dinner when distracted as you are recounting the day’s events to anyone who will listen. 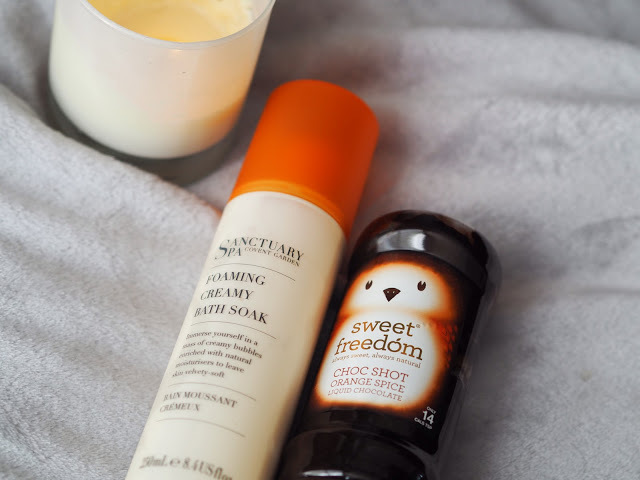 Run yourself a hot bath with lots and lots of bubbles and nice smelling stuff, if you dont have a bath then step into a hot shower to wash the stresses of the day away. 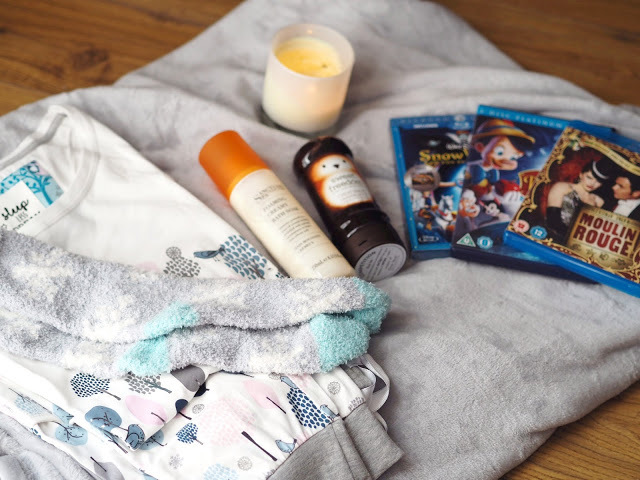 If you want to go on and do a full on pamper session then go ahead, here’s how I do mine. Change into something loose fitting like pyjamas, jogging bottoms and top or even your cute bunny onesie, anything that will make you feel comfortable and relaxed. 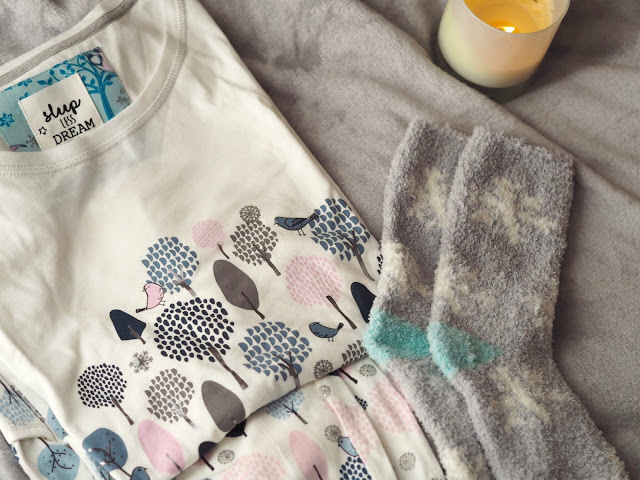 A pair of fleecy bed socks will keep your feet nice and cosy too while you are chilling on the sofa. You could even wrap yourself up in a throw for the “Blanket Burritto” look. I know this might be difficult to do but switch off your phone, hide your iPad and anything else that you can access Twitter, Instagram, Facebook or other social media on, clear your head of distractions and just unwind. You can catch up on what you’ve missed (probably not much, unless there has been a Zombie apocalypse in that few hours) when you switch your phone back on. Light some candles, switch on the fairy lights and turn off the light to give your room a relaxing glow. If you have scented candles pick a scent that will help calm and relax you such as lavender, vanilla or cinnamon, I really like Yankee Candles but if you know of any good ones then let me know below. 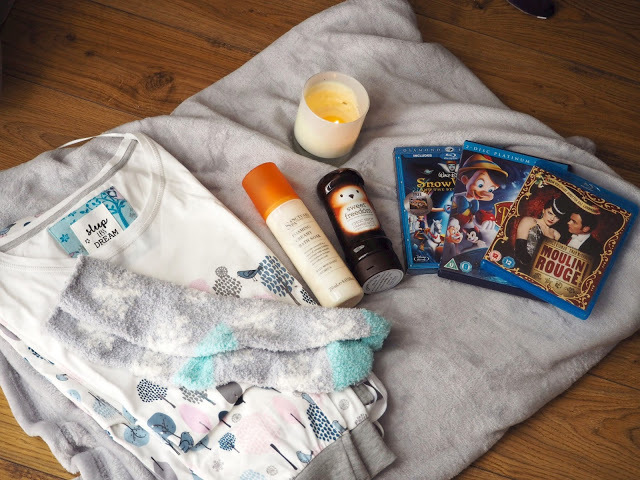 Choose a film or a tv series on Netflix, something that will help lift your mood such as a comedy, chick flick or Disney (who doesn’t love a bit of Disney to get your spirits up? Just don’t watch Bambi or The Fox and The Hound or you will end up in a crying heap on the floor). 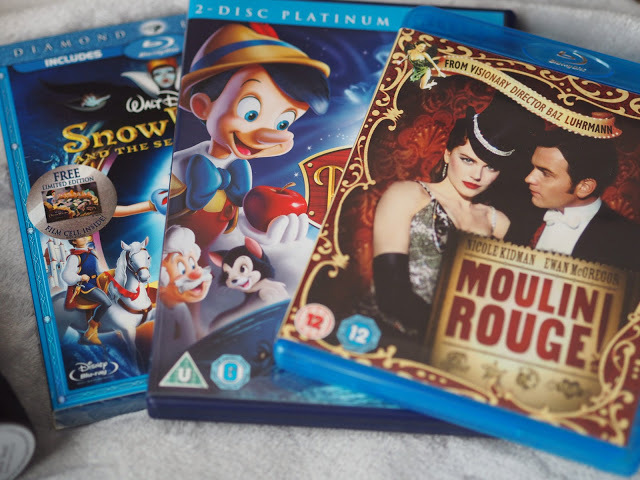 Moulin Rouge is up there for one of my favourite films; it has comedy, songs you can sing along too and even Ewan McGregor to feast your eyes on. If watching tv isn’t your thing then reading a good book will help you unwind. Get yourself a hot chocolate or a peppermint tea to drink while you read your book or watch tv. I’ve just discovered Choc Shots and am loving the Orange Spice flavour, it’s suitable for vegans as it is dairy free so I put a good squirt of that into my almond milk for a delicious hot drink before bed. You should be feeling nice and relaxed now and the events of the day will be all but forgotten about, so when you head to bed you should hopefully drift off into Dreamland pretty quickly. If you do have difficulty sleeping a pillow spray might help, I have on occasion used a lavender scented one to help me drift off but normally I can fall asleep within minutes of hitting the pillow. Before you go to bed though remember to blow out those candles and set your alarm if needed as you don’t need to start the next morning with a burned down house or having slept in as your stress levels will be through the roof before the day has begun. What’s your favourite things to do to relax in the evening? "Slimming World Sunday | Weigh In 1 & 2"
"Ten Things I Love About Spring"